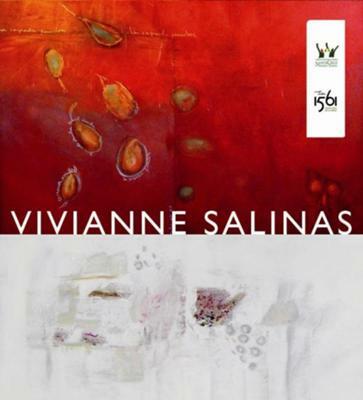 Bolivian artist Vivianne Salinas studied graphic design and advertising at the Universidad Privada de Santa Cruz (UPSA University) of Bolivia. She has taken courses in modeling, sculpture, oxides, salt burning, and heat-modeled glass in Holland, Italy, Brazil, and Argentina. Prizes and awards: she won the Premio Único for sculpting in La Paz in 1997, the Premio Único for sculpting at the Santa Cruz Art Biennial in 1999, an Honors Mention at the Santa Cruz Art Biennial in 1993, an Honors Mention at the Santa Cruz Art Biennial in 1995, and an Honors Mention from the Puerta Abierta Foundation in 1997. Individual Exhibits: Between 1996 and 2006 she gave 15 individual art showings in the areas of ceramics, painting, scuplture and installations at museums in Bolivia and at the Bolivian Embassy in Lima, Peru. Collective Exhibits: 1996 to date, she has participated in showings in many different places including the Porto Alegre Art Biennial in Brazil, the Políticas de la Diferencia exhibit in Spain, the Modern Art Museum in Venezuela, the MALBA Art Museum in Buenos Aires, Argentina, the Modern Art Museum of Sao Paulo, Brazil, and exhibits in Colombia, Chile, Ecuador, Argentina, Paraguay, Brazil, Spain and Germany. Today she lives and works at her studio in Santa Cruz, Bolivia. You can see her art at an exhibit that will be taking place at the Casa de la Cultura on the main plaza in Santa Cruz, Bolivia between July 5-29, 2011. Join in and write your own page! It's easy to do. How? Simply click here to return to Famous People.